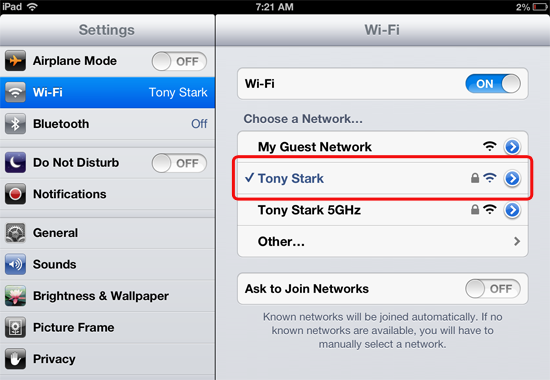 Your iPad's current IP address for the selected Wi-Fi network is displayed at the top of the window, as shown above. Congratulations! You have successfully found your iPad's IP address. 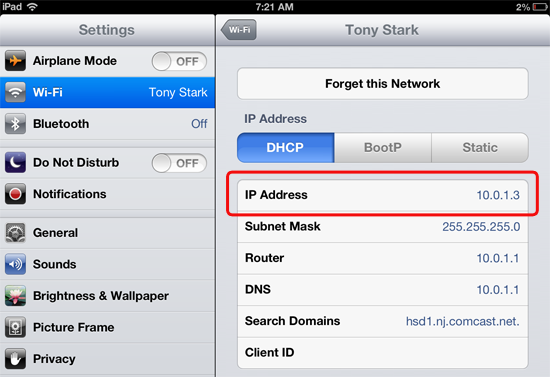 Note that your iPad is probably assigned a dynamic IP address, which is a temporary address that is unique only to your internal network. These addresses commonly start with 192.168 and 10.0.1. Since these addresses are dynamically and randomly assigned by the router every time a device connects to a network, you can't expect your iPad to have the same dynamic IP address every time you connect.